There are 4 satellite pyramids on the east side of the Great Pyramid. 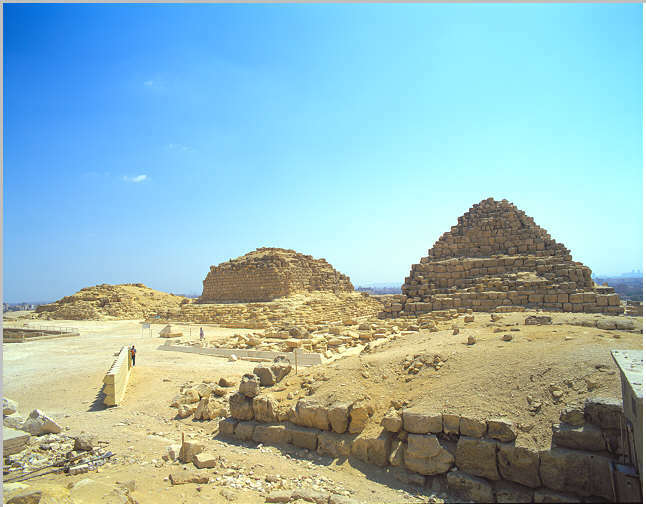 In the middle foreground is the pyramid of the Ka, uncovered only in 1994. It appears as a rather low structure with some casing stones still visible. 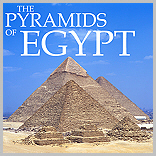 The right most pyramid is designated GIc, it belongs to Queen Henutsen, Khufu's half sister. The middle pyramid is GIb that of Queen Meritetis. And the leftmost pyramid is that of Hetepheres designated GIa, Khufu's Mother.